Curiosity may have killed the cat, but it fuelled the journalist. Journalism is the only career where being nosey is a good thing. That is, unless you want to become a spy. Are you interested in fashion? Or maybe you want to become a sports journalist? There’s a form of journalism out there for everyone. Saying that, it’s not a career for the faint-hearted – you won’t be working 9-5 and you can guarantee a big story will break in your patch the second you leave for holiday. But you should thrive off a breaking news story and you’ll know you’re a true journalist when you find yourself running into trouble rather than away from it. If you’re interested in a career in journalism then there are a few things you need to consider. 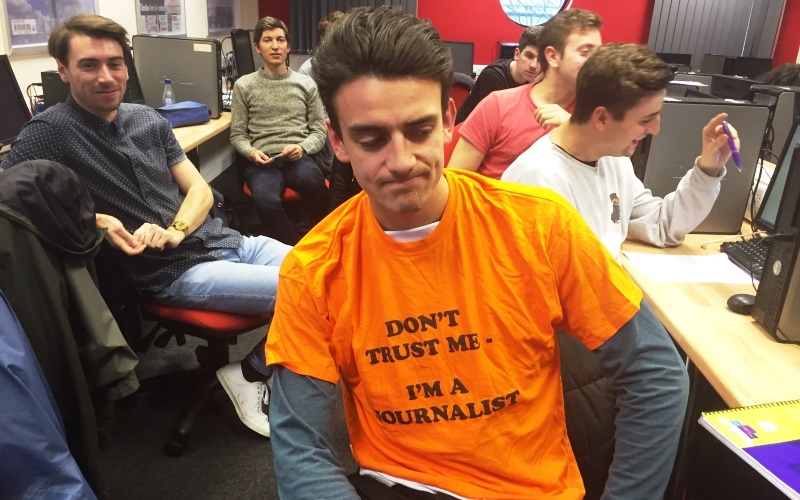 Journalists need to have an interest in the world around them – from who won the Stoke-on-Trent by-election to who was crowned best actress at the Oscars – a good journalist is always up to date. And whether you’re interested in print or broadcast journalism, a journalist needs to be a good communicator. You need to be able choose what is newsworthy and deliver it in a clear and concise way – appropriate for your audience. Then there’s the age-old debate – speed v accuracy. You want to be fast but if you are first and flawed then that’s all you’ll be remembered for. Journalism is a competitive industry, but no job worth having, isn’t competitive. However, it’s about balance and sometimes journalism is a team sport – you need to be prepared for mingling and networking to build up a contacts book. If all this sounds like you, then you have the makings of a great journalist. However, not everyone wants to be a news reporter, running to crime scenes and making enemies on the way. If you prefer to spend longer digging through archives for beautiful double-page spreads, then maybe feature writing or investigative journalism is for you. Or if the thrill of writing match reports and sending copy on the final whistle excites you, then you might just be ready to become a sports journalist. But whatever form of journalism you’re interested in, you need to remain one step ahead of the game. Gone are the days when you submitted your copy and someone else took it from there. You need to be able to write a good punchy headline for print and consider SEO for your online headline. You also need to understand social media – what size picture is best for Facebook and what # will help drive traffic on Twitter. But don’t let us scare you – journalism isn’t rocket science or open heart surgery. Journalism is just storytelling. And hey, it beats working! Whether you’re interested in fashion or investigative journalism, want to become a sports journalist or a news reporter, you’ll need to build a good journalism portfolio – read our top tips here. Are you starting out as a journalist? Share your inspirations below.